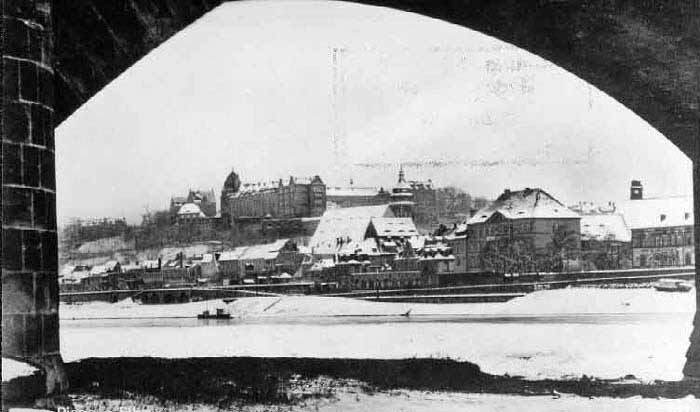 Located at Pirna near Dresden, above the river Elbe, Schloss Sonnenstein was built on the site of a former medieval castle and had been used as a mental home since 1811. It was the first major state institution in Germany to be explicitly dedicated to treating, rather than just interning, mentally ill patients. In the 19th century, the reform-oriented hospital was one of the most renowned institutions of its kind in Europe. In 1922 as a Heil und Pflegeananstalt (care and cure institution) it had housed 672 psychiatric patients. 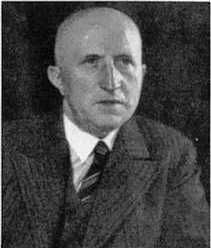 In 1939, the respected long time director Hermann Paul Nitsche was at the head of the Sonnenstein state hospital. In October 1939 the mental home was officially closed. A portion of the institution, located behind the main buildings and not included as part of the killing centre, was used first as a military hospital, and then to house ethnic German refugees from Bessarabia. Another portion of the institution, also in the rear of the property, was retained as a regular mental hospital after confiscation and assumed the name Mariaheim. 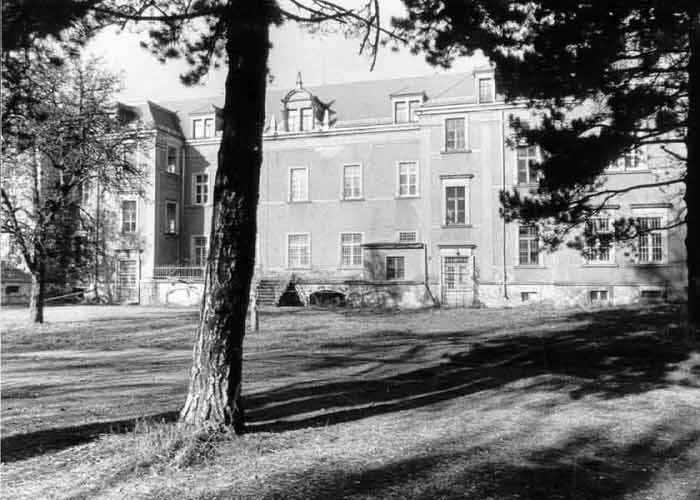 Between early 1940 and June of that year, the part of the castle located in buildings 1-3 at the front of the property was converted into a euthanasia killing centre. Building 3 served as a reception area for the arriving victims and buildings 1-2 provided office space and staff quarters. 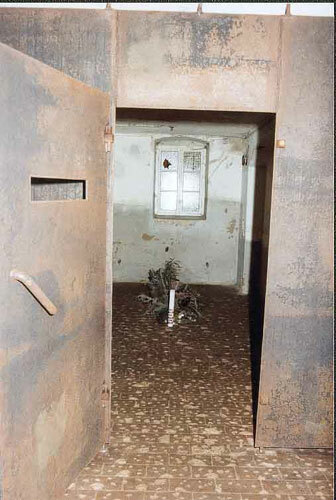 Building 2 (numbered C 16) contained the actual killing facility, including the gas chamber and a crematorium with two stationary coke-fired ovens located in the basement. A high brick-wall on two sides of the complex shielded it from outside observation, while a tall hoarding was erected to serve a similar purpose on the other two sides. Sleeping quarters for the stokers (brenners) were provided in the attic of building C 16. The physician-in-charge, Horst Schumann, who transferred from Grafeneck, arrived in late April to supervise the final remodelling, and the killing began in June 1940. Sonnenstein was to differ from most of the other killing centres because it did not occupy the entire hospital, which made complete secrecy impossible. From the end of June 1940 until September 1942, at least 15,000 persons were killed within the scope of the euthanasia programme and Sonderbehandlung 14f13; a minimum of 13,720 had fallen victim to T4. One nurse testified that during his three week stay in July 1940 about 1,000 people had been gassed, including youngsters aged fifteen and sixteen. The Sonnenstein staff consisted of approximately 100 persons. About one third of them were transferred to the extermination camps in occupied Poland, based upon their experience in the deception, killing, gassing and burning of innocent people. During August/September 1942, the Sonnenstein killing centre was liquidated and incriminating material such as the gas chamber installations and crematorium ovens dismantled. From October 1942 until 1945 the buildings were used as a military hospital, and in the post-war years served a number of different number of different local government and commercial functions. In the summer of 1947, some Aktion T4 members were among the accused in the Dresdner Ärzteprozess (Doctor's Trial in Dresden). Professor Hermann Paul Nitsche, T4 medical director from late 1941, and two male nurses from Sonnenstein were sentenced to death. It took 40 years before the part Sonnenstein had played in the euthanasia programme was recognized, and until 1989 before the public commemoration of the bloody history of this euthanasia centre occurred. A number of Aktion Reinhard personnel served at Sonnenstein, these include Johannes Bauch, Werner Becher, Max Beulich, Kurt Blaurock, Karl Böhm, Rudi Böhm, Heinz Kurt Bolender, Gerhard Börner, Arthur Dachsel, Erich Dietze, Johannes Eisold, Hermann Felfe, Alfred Forker, Kurt Franz , Heinrich Gley, Willy Grossmann, Emil Hackel, Lorenz Hackenholt , Haunstein, Gottlieb Hering, Otto Horn, Rudolf Kamm, Johannes Klahn, Walter Klos, Fritz Konrad, Erwin Lambert, Arthur Le., Heinrich Arthur Matthes, Werner Mauersberger, Gustav Münzberger, Walter Nowak, Josef Oberhauser, Orliewski, Paul Räpke, Wenzel Rehwald, Karl Richter, Paul Rost, Herbert Scharfe, Ernst Schemmel, Karl Schiffner, Erich Schirmer, Fritz Schmidt, Erich Schulz, Ernst Seidler, Kurt Seidel, Friedrich Tauscher, Kurt Vey, Arthur Walther, Wilhelm Wendland, Hans Zänker, Fritz Zaspel, Ernst Zierke and Franz Zwingmann. After reunification in 1989, an employee of the Tolkewitz municipal cemetery in Dresden discovered three mass graves containing the urns of euthanasia victims. They were exhumed by the German war graves agency, and laid to rest in a more dignified tomb in the Dresden-Tolkewitz cemetery in January, 2004. Since 9 June 2000 a permanent exhibition has been on display in the rooms of building C 16. The fate of twenty-two representative victims murdered at Sonnenstein are documented in a memorial tract in the basement of the building.